In Memoriam to Michael T. McAllister, Esq. 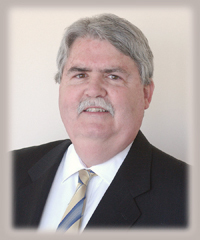 All News In Memoriam to Michael T. McAllister, Esq. One of New York’s most beloved mediators, Mike joined JAMS six years ago and had an enormously successful personal injury practice. Prior to joining JAMS, Mike was the Neutral Evaluation Attorney in charge of the New York County Supreme Court Mediation/Neutral Program since its inception in 1994. The program was the first of its kind in the New York State Court System, serving as a model for the implementation of similar programs in other counties. Mike earned the respect and trust of attorneys and the many people he encountered while resolving disputes. He will be fondly remembered by his friends and colleagues at JAMS for his outgoing personality, wonderful sense of humor, overflowing pride in his family and deep compassion. Sunday (1/30) 2:00-4:00 p.m. and 7:00-9:00 p.m. The church is located across the street from the school. The arrangements are open to friends, family and clients. In lieu of flowers, the family has set up a scholarship fund for his children.